Thinking of getting your loved one something sweet this Valentine’sDay? Chef Kozinko has prepared some sweet treats that are pre-wrapped on our retail wall. 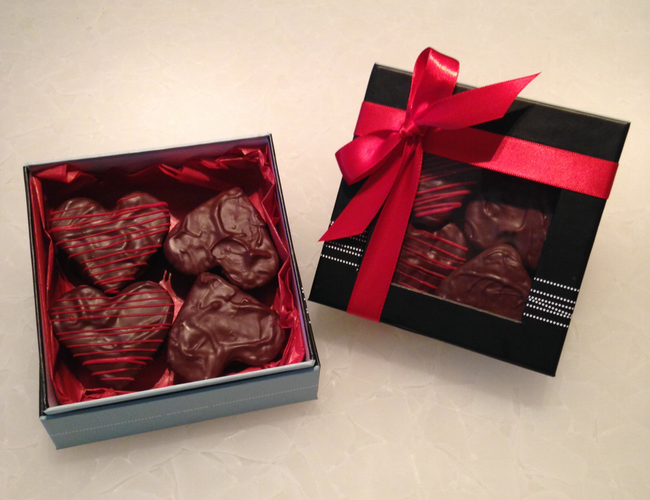 Valrhona Manjari chocolate covered raspberry marshmallows – $8 per box. Valrhona Manjari chocolate and raspberry macarons – $2 each or $18 per box. Complete your Valentine’s to-do list by pairing your gift with one of the many Valentine’s Days cards available. Don’t forget that belcafe.com has also launched online ordering for our lunch menu, seven days a week.